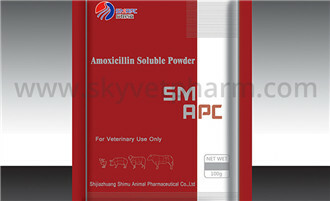 SMAPC is a manufacturer of animal drugs, our scope of animal medicines include Veterinary Lidocaine Injection, Veterinary Oxytetracycline Injection and other water powder, tablets. In this news, we will talk about the pig vaccination precautions. 1. Only when the pigs are healthy can they be immunized and cannot determine whether they are healthy pigs. To prevent the effects of respiratory syndrome on the immune system and immune effects, it is best to purify the feed and then immunize. . The choice of purifying drugs should be drugs that are harmless to the immune system. Those drugs that seriously affect the immune system or even lead to immunosuppression, such as florfenicol and dexamethasone must be carefully selected. Many pig farms induced large-scale group disease after seedlings, resulting in group death and group injury because pigs were induced by seedling stress under the condition of insidious infection of pathogenic microorganisms. 2. Multivitamins must be added within 3 to 7 days before or after the vaccine. The vaccine must be given in good weather, in the morning and in the summer, and at noon in the winter. 3, Must be a lap pig 1 needle to prevent cross-infection.